Sergio Gutierrez is the lucky winner of a fantastic i1 Display Pro & ColorChecker Passport bundle! Congratulations! i1 Display Pro & ColorChecker Passport bundle - Take control of your colour in camera and on screen. 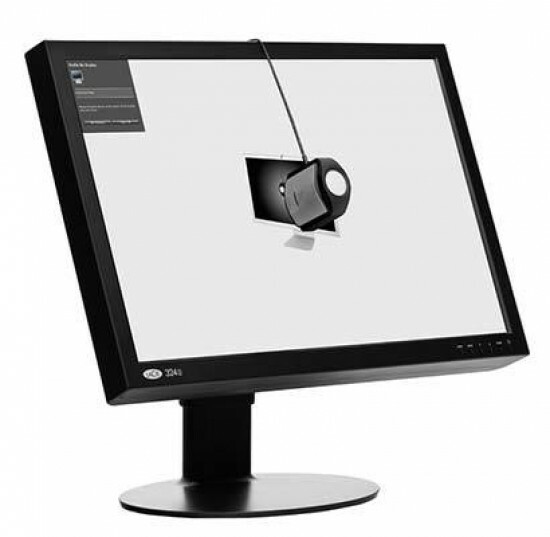 The i1DisplayPro is the ultimate solution for the most demanding photographers looking for on screen colour accuracy. Photographers know that calibrated and profiled display is a critical element in an efficient digital workflow. Nobody wants to spend hours at their monitor perfecting images or video only to find that their display wasn’t accurately representing their digital files. What you see on your monitor (or projector) has to match your digital file or you will never be happy with the result, no matter how much time you devote to perfecting it. ColorChecker Passport is a powerful 'capture to edit' colour solution for any photographer looking for more accurate, consistent colour and creative flexibility ColorChecker Passport combines three photographic targets into one pocket size protective, self-standing case that adjusts to any scene. Together with the included camera calibration software, it allows you to capture a scene accurately and then creatively edit it. In addition, to complete the ultimate photographic workflow this bundle also comes with the option to purchase a 1 year Adobe Creative Cloud Photography plan for just £86 (15% discount). 1. This competition closed on 02/06/2015 at 11.59pm GMT. 2. No entries accepted from employees of Photography Blog or X-Rite. 3. The winner will be announced on the Photography Blog website following the closing date and contacted via email only, so a valid email address is required..
4. The featured prize is an i1 Display Pro & ColorChecker Passport bundle.